Lugarde Daisy Log Cabins: The Lugarde Daisy Log Cabin at 8.5m x 5.5m is a large luxury log cabin featuring multiple rooms as per plan. It is simply a beautifully designed cabin which really makes a statement and offers many potential uses. 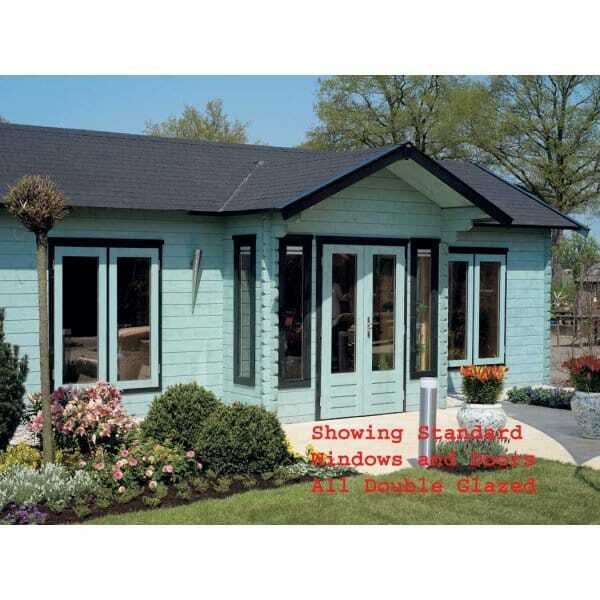 As standard it features 2 casement windows, 4 fixed windows a double door and one internal door.